HiRISE acquired this image of the Opportunity rover on the Southwest rim of Santa Maria Crater on New Year's Eve 2010, or Sol 2466 of the rover's surface mission. Opportunity is imaging the crater interior to better understand the geometry of rock layers as a means of defining the stratigraphy and the impact process. 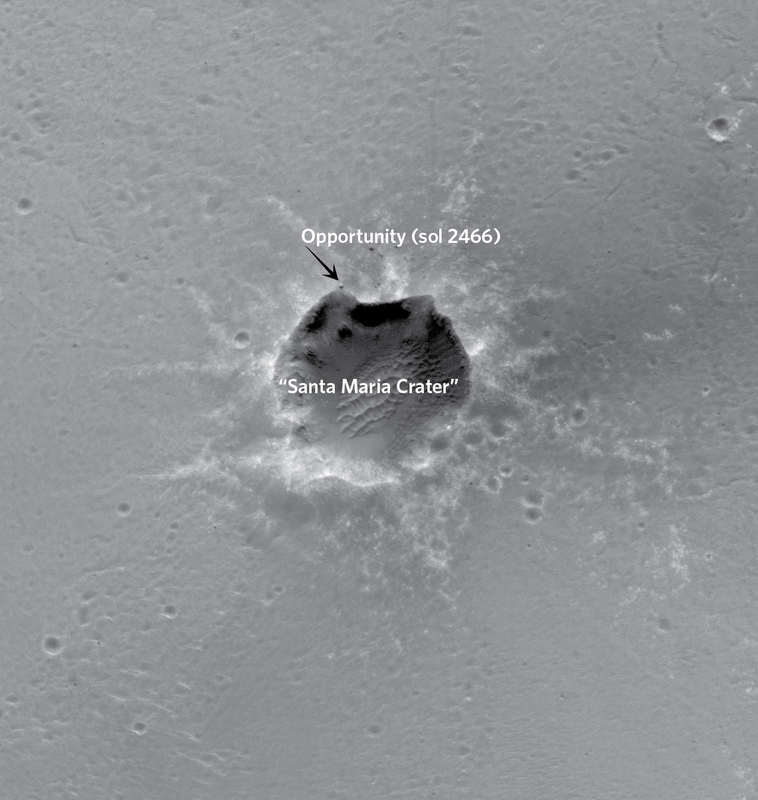 Santa Maria is a relatively young, 90 meter-diameter impact crater (note blocks of ejecta around the crater), but old enough to collect sand dunes in its interior. 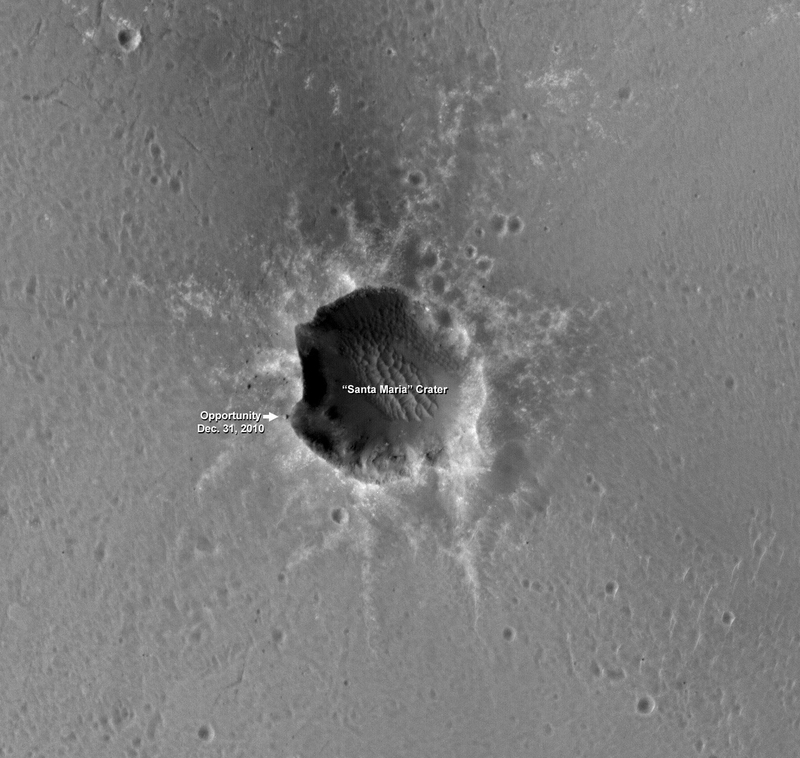 Santa Maria Crater, located in Meridiani Planum, is about 6 kilometers from the rim of Endeavour Crater, which contains spectral indications of phyllosilicates, or clay bearing minerals that are believed to have formed in wet conditions that could have been more habitable than the later acidic conditions in which the sulfates Opportunity has been exploring formed. CRISM data show indications of hydrated sulfates on the Southeast edge of the Santa Maria Crater at which Opportunity is planning on spending the upcoming solar conjunction. 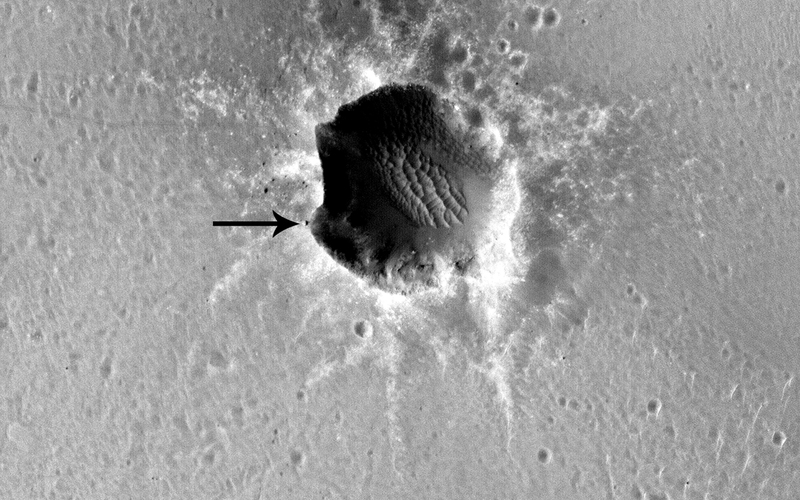 After that, Opportunity will traverse to the northwest rim of Endeavour Crater, aided tremendously by HiRISE images like this for navigation and targeting interesting smaller craters along the way. 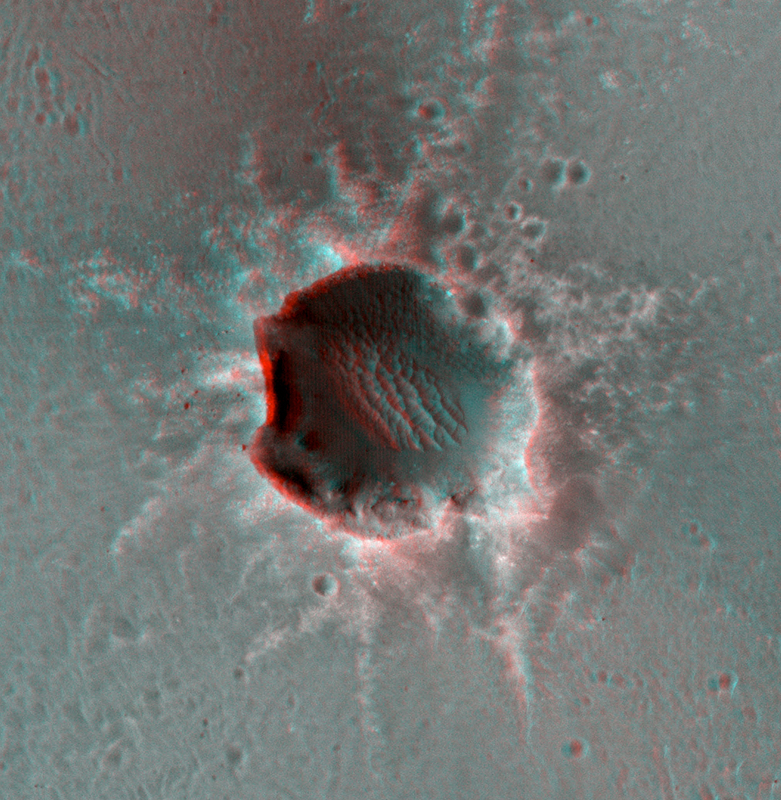 HiRISE has produced a nice 3D image of the observation here. 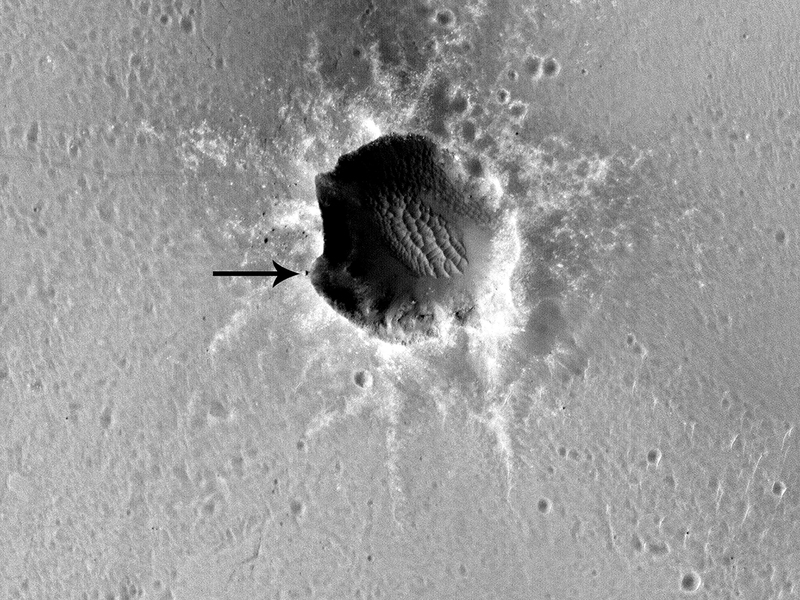 HiRISE also has an oblique view of the same area here. This image shows the view looking West, as MRO pointed off-nadir 18 degrees to the west to acquire this oblique image, similar to the view out an airplane window.